Large organizations can no longer rely on preventive security systems, point security tools, manual processes, and hardened configurations to protect them from targeted attacks and advanced malware. Henceforth, security management must be based upon continuous monitoring and data analysis for up-to-the-minute situational awareness and rapid data-driven security decisions. 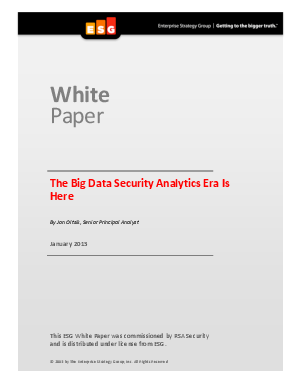 This means that large organizations have entered the era of data security analytics.